Photo from The Daily News. 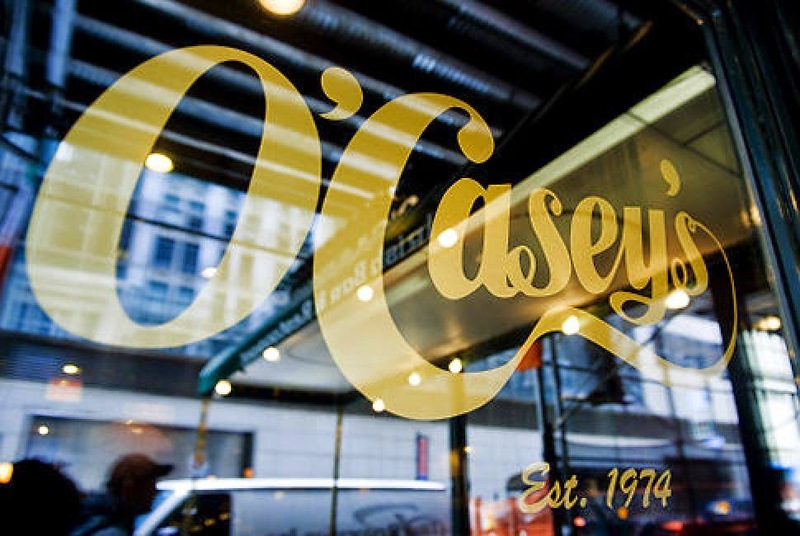 O'Casey's Irish Bar and Restaurant, which closed a few weeks ago, was never in the running for a James Beard Award. It's not listed in Zagats, nor will you find it mentioned on eater.com. Midtown Lunch liked its food and atmosphere but bemoaned the lack of happy hour, and New York Magazine made note of the banker/lawyer contingent among its patrons. O'Casey's was never an in spot, but that's precisely why it was such a favorite watering hole among many midtown-based librarians. It was a short walk from the Schwarzman Building on the 42nd Street, the Mid-Manhattan Library on 40th Street, and library offices on 39th Street. The bar served good beers on tap and the waitstaff allowed you to sit at a table without ordering food. But when you did order food—and you always did—it was better than your average pub fare: the mozzerella sticks were well-seasoned and flavorful, the burger was tasty, and the fish and chips were more than commendable. The restaurant's interior, with its cozy feel and flattering lighting, provided a warmth that the outside world didn't. The silent TV screens meant you could watch the Knicks lose while talking about more important issues. Extra seating both upstairs and downstairs meant never having to wait for a table, and if you were really lucky you might hear the Gin Blossoms over the stereo. If there were a sitcom called Library Life, O'Casey's would be our Monks, or Riff's, or Regal Beagle. No, it wasn't the best bar in the city, but O'Casey's was a solid, beloved spot for going away parties, work celebrations and travails, holiday mayhem, appreciation lunches, group discussions, one-on-ones, and solo dining. And it will be missed. But why did they close? I searched but found nothing.